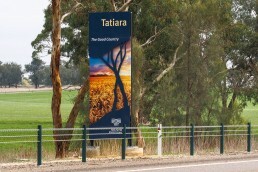 Two major entrance signs and five minor entrance signs were developed for the Tatiara region. 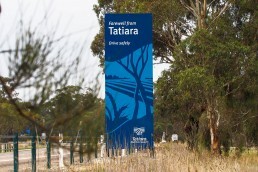 Double-sided, frangible signage structures feature clear typography, bold, eye-catching colour on the front with simple graphics on the reverse. 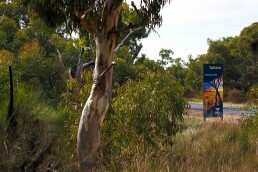 Major entrance design features, raised laser-cut tree motif with sunset hero image.